If you are looking for a foothold in the Russian market without the high costs of implanting a full time presence, then Domus Alliance (Russia) can establish or increase your presence and distribution on your behalf, providing your business with a better return on investment. We are not just another representation company: we will effectively become your sales and marketing team. We act as your point of contact primarily to the real estate trade and where necessary to the individual buyers. Domus Alliance (Russia) is a strategic partner of one of the largest real estate exhibition organizers’ in Russia – Domexpo. Why be represented by Domus Alliance (Russia) in Russia? "Domus Alliance was very good and supportive to prepare my stand at Malmo Fair, to present my company in the swedish market in the best way possible likewise the professionalism of the staff was excellent. They have been helpful, very easy people to work with and they understood straightforward my need. I loved so much the way how they approached the audience without annoying them! It was a fantastic working team "
"“Domus Alliance company since 2014 has become the strategic partner of our real estate exhibition – ReEstate EXPO 2015, which is considered one of the biggest events in its profile in Siberia. 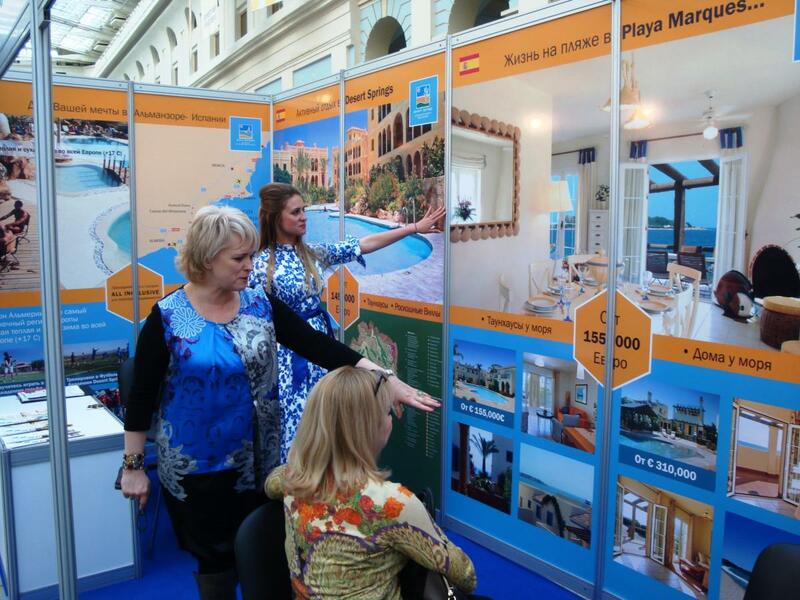 During our last show in 2015 Domus Alliance became the organizer of a specialized training for realtors, dedicated to sales of real estate abroad. The event got visited by 96 representatives of real estate agencies of our capital city, who have left positive feedback and showed the demand and necessity in such events in the future.” "
"Thank you, Domus Alliance team, for such a professional presentation of my project at the Scandinavian exhibitions! I would not hesitateto say, that you guys are the most professional marketing company in the real estate industry!" "I’ve known Jurga for many years, always a 100% dedicated partner. Jurga and her team, with their extensive knowledge, always profesional and on time. Delivering beyond expectations. " "I enjoyed the exhibition and learned a lot... Domus representatives-Alex and Stefan were very good in handling prospects. I was very delighted for their help!" "Domus Alliance - they are definitely industry's “top dogs”! "